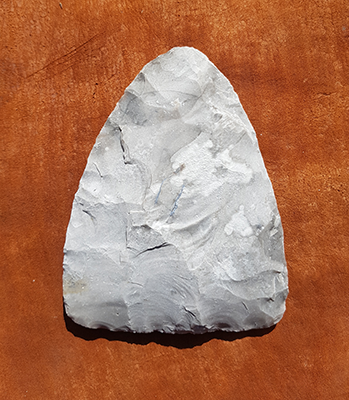 The flint hand axe was the butchers’ knife of the mega fauna hunters! 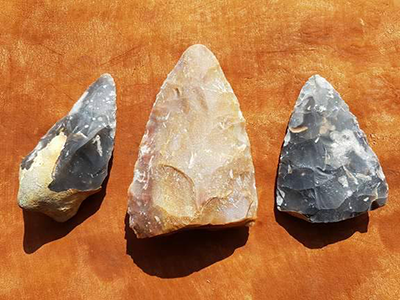 The mammoth, Woolly Rhino and many other large mammals were butchered with these efficient slashing tools; almost twice as fast to use as a modern knife as they afforded a two way cut. 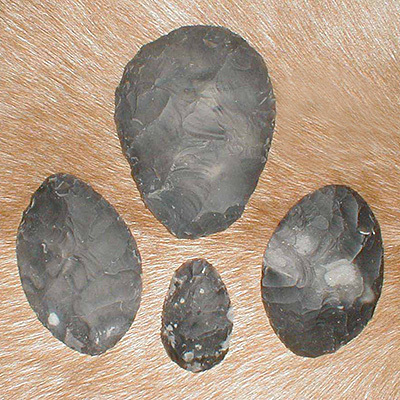 Held in the hand alone rather than fitted into a handle, flint hand axes were glued to the hand of the hunters by the blood of the animal! 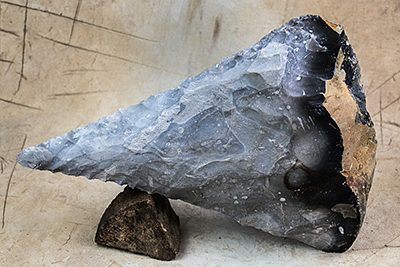 Be the first to review “Ovate flint hand axe” Click here to cancel reply.